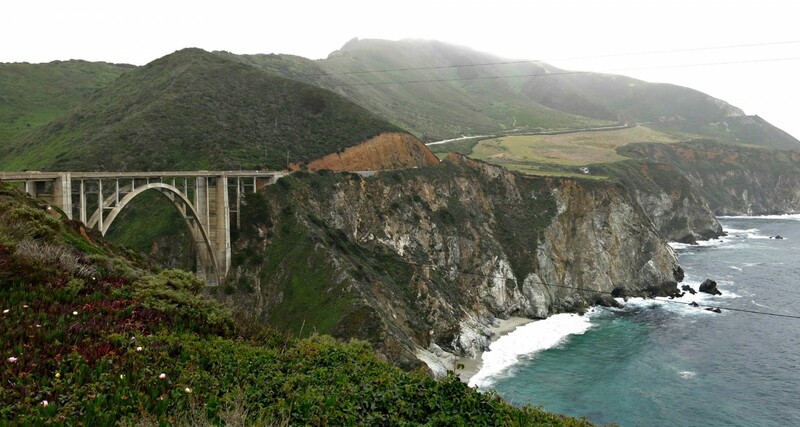 Highway 1, or California State Route 1, is known throughout the world as the Pacific Coast Highway (PCH) – one of the most amazing drives in the United States. 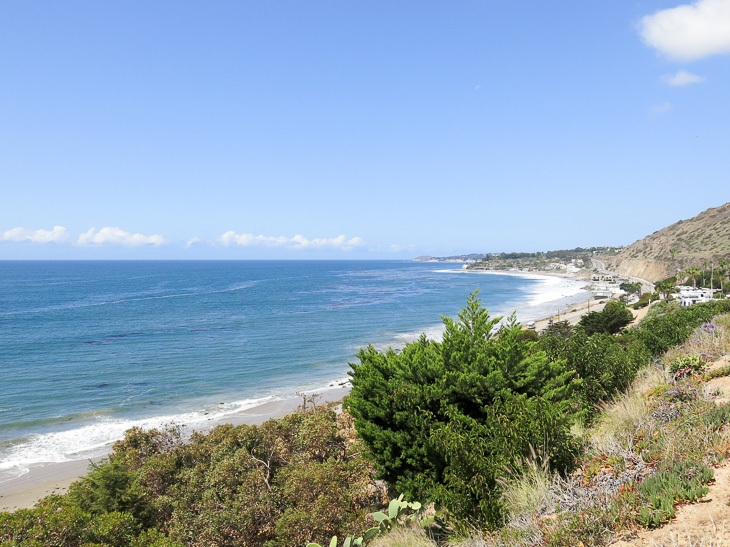 Our California road trip just wasn’t going to be complete without some serious cruising along the beautiful coastline that outlines the Pacific Coast Highway. 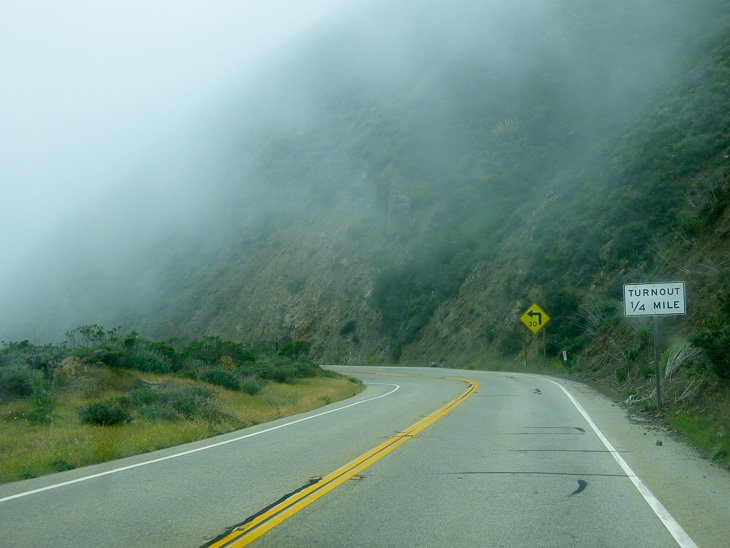 The PCH runs from Orange County in South California all the way up to Mendocino County in North California. 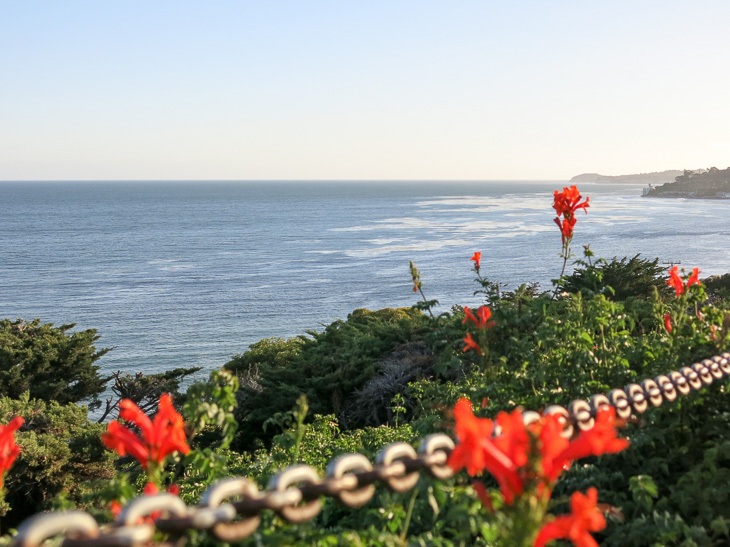 This means that you can cross off various California highlights while driving this scenic route: Los Angeles, Santa Barbara, Monterey, Carmel, Big Sur, Santa Cruz, and San Francisco. And that’s exactly what we did. 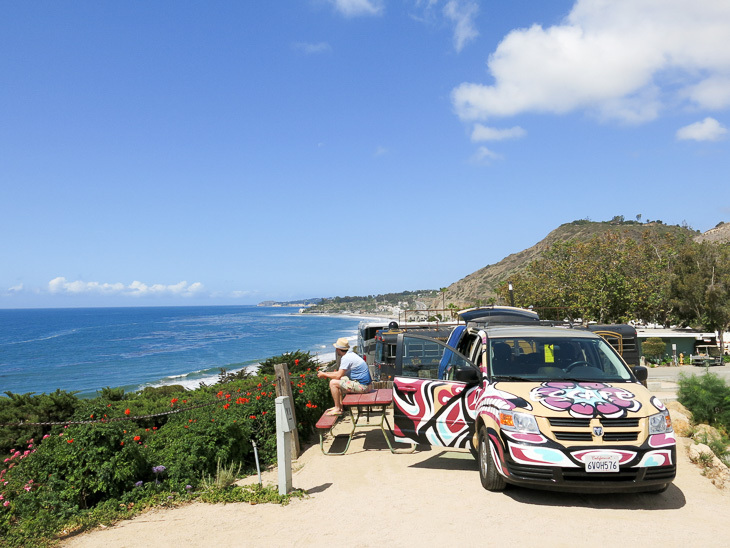 We started in LA where we parked our cool campervan at Malibu Beach RV park on a bluff overlooking the Pacific. From our “bedroom” window we had a spectacular view over the ocean and I think it’s safe to say that this is a pretty amazing spot to camp out, right? 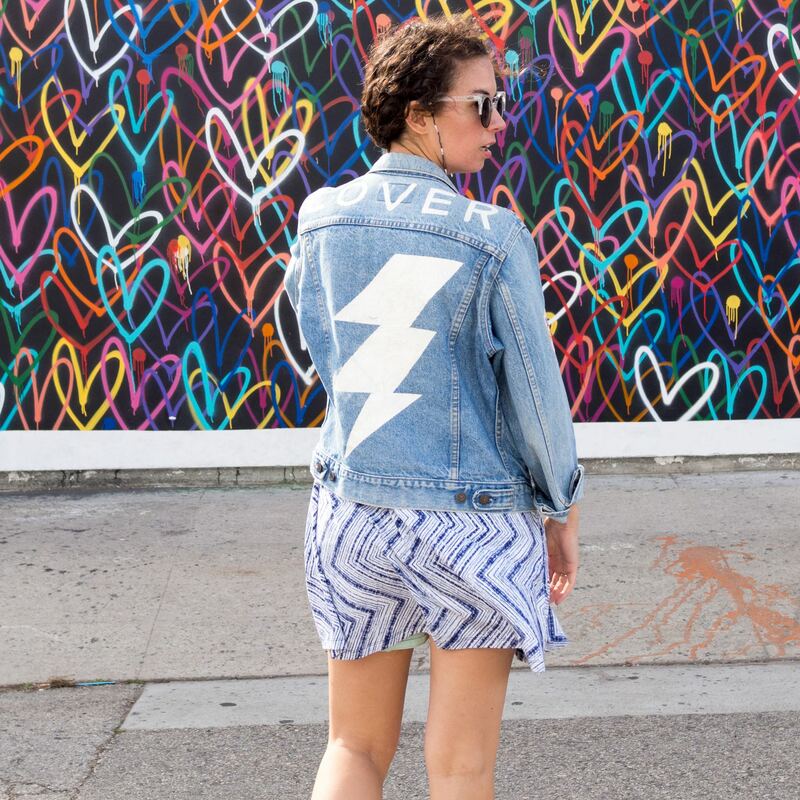 Even though Los Angeles wasn’t very high on our must-visit-wish-list, we were sucked into that LA vibe rather easily. I mean, that old skool Miami Vice meets Classic Hollywood feeling is kinda attractive. 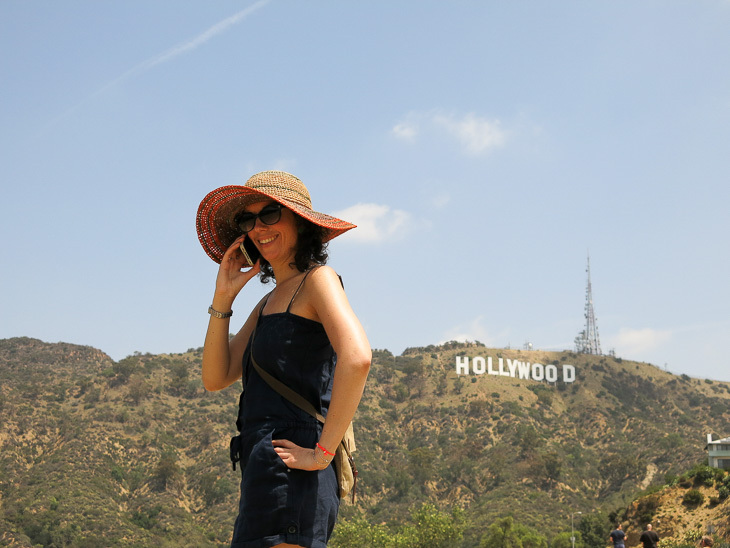 So we drove upto the Hollywood sign in the beautiful Hollywood Hills, then all the way down to Beverly Hills on Hollywood and Sunset Boulevard where we passed the Walk of Fame, the House of Blues, the Chinese Theatre with all the celebrity hand- and footprints, and the Beverly Hills Hotel. Checker the check. 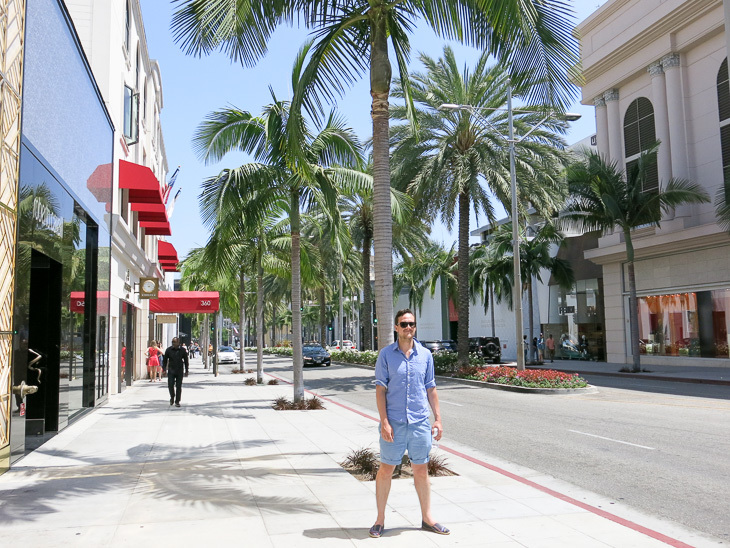 Yes, we also visited LA’s answer to Fifth Avenue: Rodeo Drive. And yés, I kept my wallet tucked away in my bag. 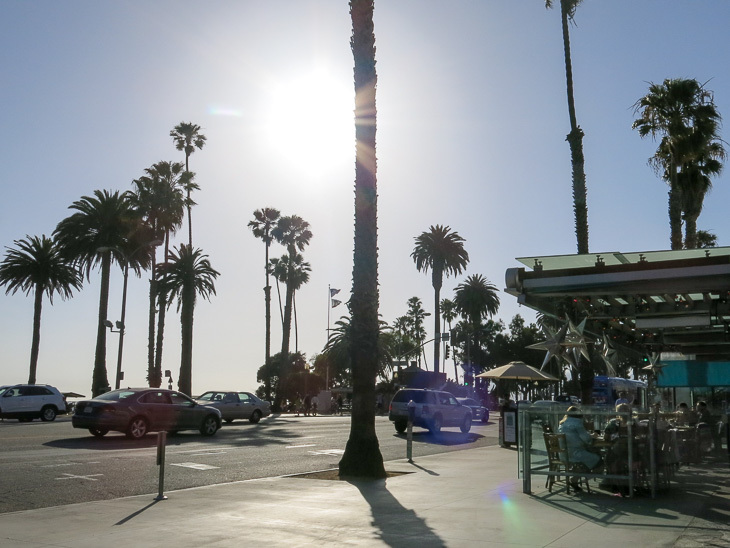 We spent the afternoon in Santa Monica where we strolled around and had a very nice meal at Blue Plate Taco on Ocean Avenue overlooking the Santa Monica Pier and the beach. 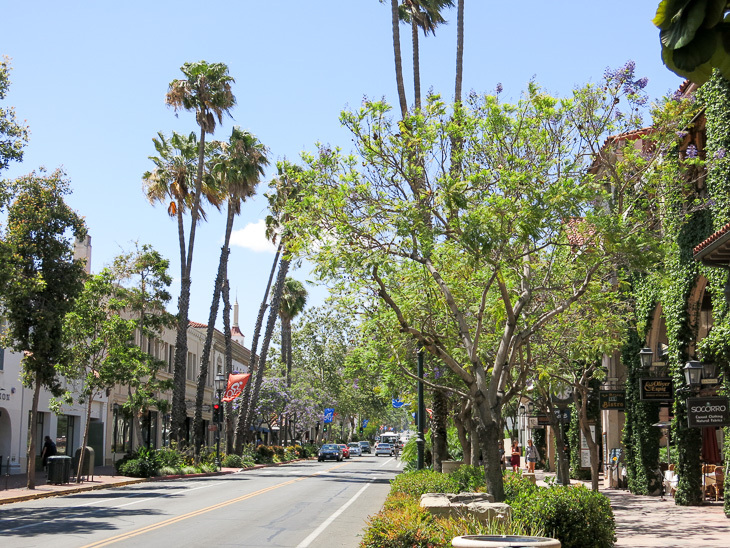 Then it was time to hit the road and our first stop on the Pacific Coast Highway was Santa Barbara. 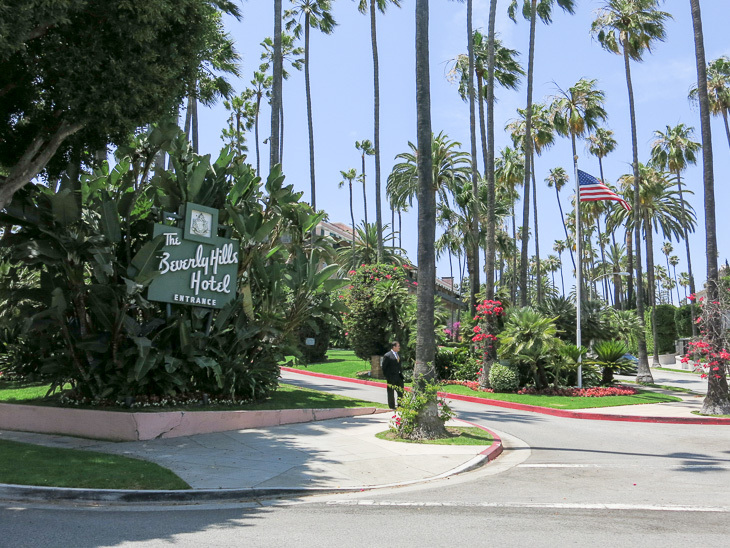 Although mostly known for its celebrity residents (Oprah, John Cleese, Katy Perry, Michael Jackson, etc.) Santa Barbara is actually an old Spanish mission area, which gives the place a lovely historic atmosphere. Great vibe, great food, great shops. What’s not to like? 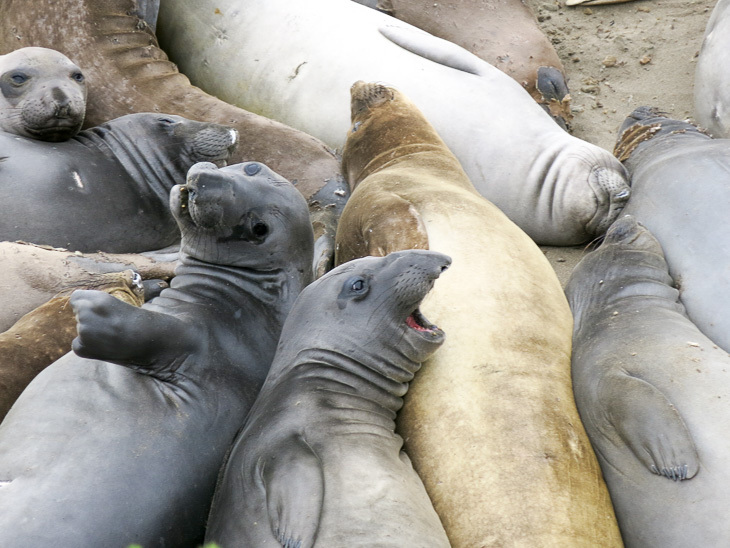 So we got up very early in the morning and got back on the Pacific Coast Highway only to stop a few miles down the road to meet these crazy cute buddies: the California elephant seals! 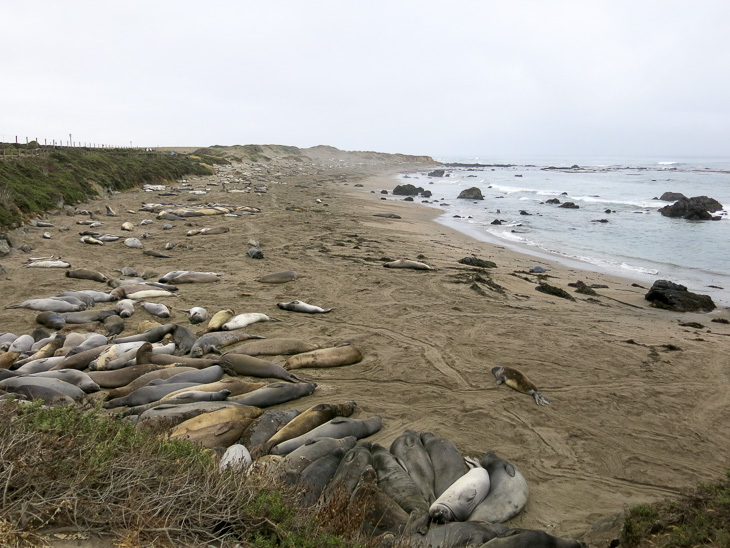 Since 1990 they have been at the beach near Piedras Blancas lighthouse and now they are a cozy group of 17,000 elephant seals. As an animal lover I was of course super excited so that mweh-campsite-experience was quickly forgotten. 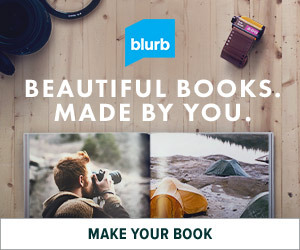 Maybe it’s me but these guys are totally laughing, right? 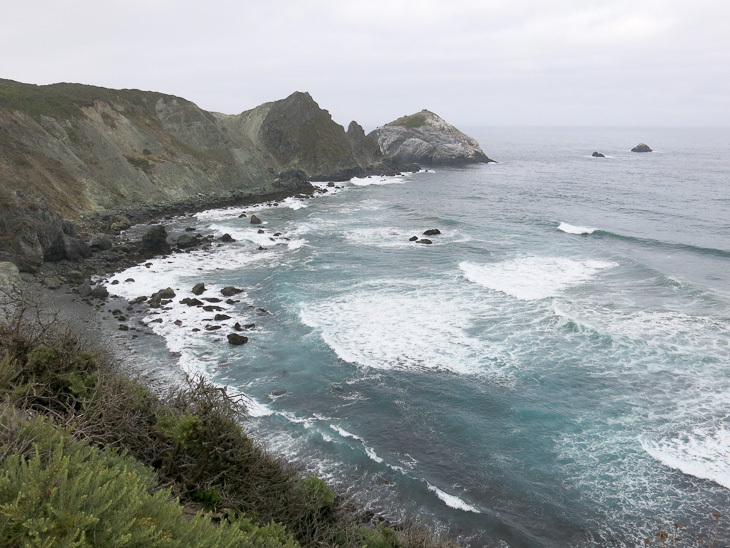 Another 20 miles North on the PCH and you’ll reach the Southern tip of an area that is called Big Sur. 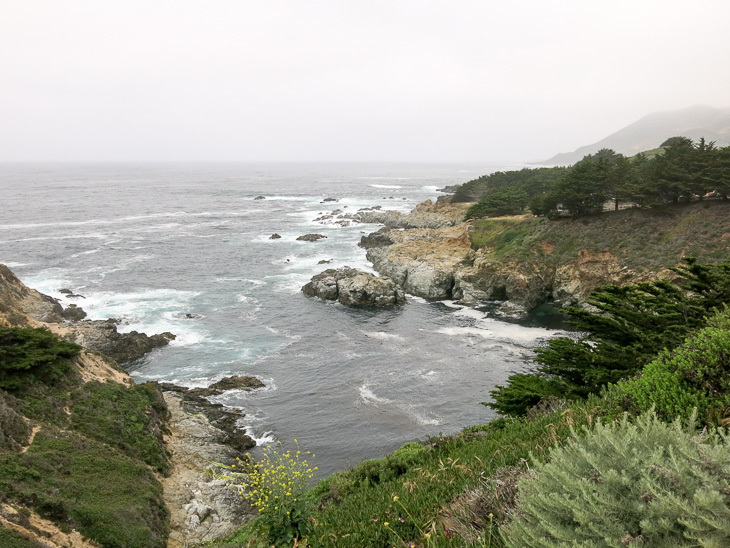 You know when you’re there because the scenery rapidly changes since Big Sur is a lush and green area that is sparsely populated. 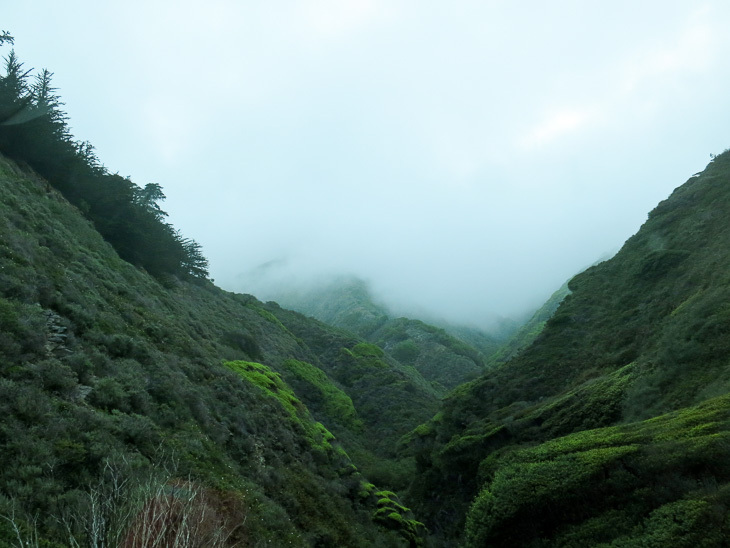 Here the Santa Lucia Mountains rise over the Pacific Ocean which means that there is a lot of humidity in the air, hence the lush and green surroundings. 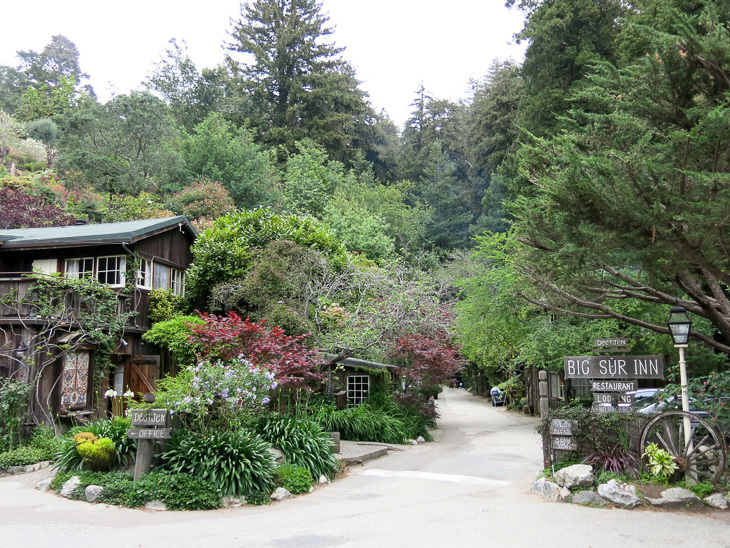 In summer Big Sur often has dense fog that gives the place a romantic, almost fairytale-like kind of vibe. Super pretty! 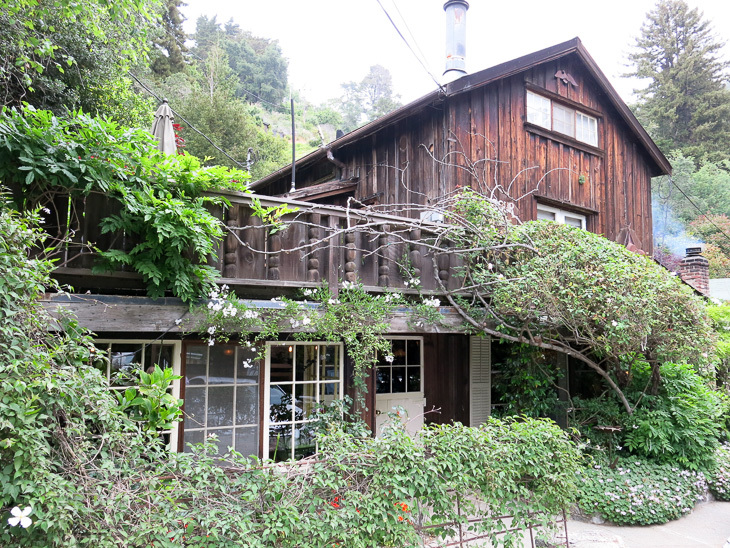 We had the most amazing breakfast at Deetjen’s Big Sur Inn, which is very, very, very highly recommended. 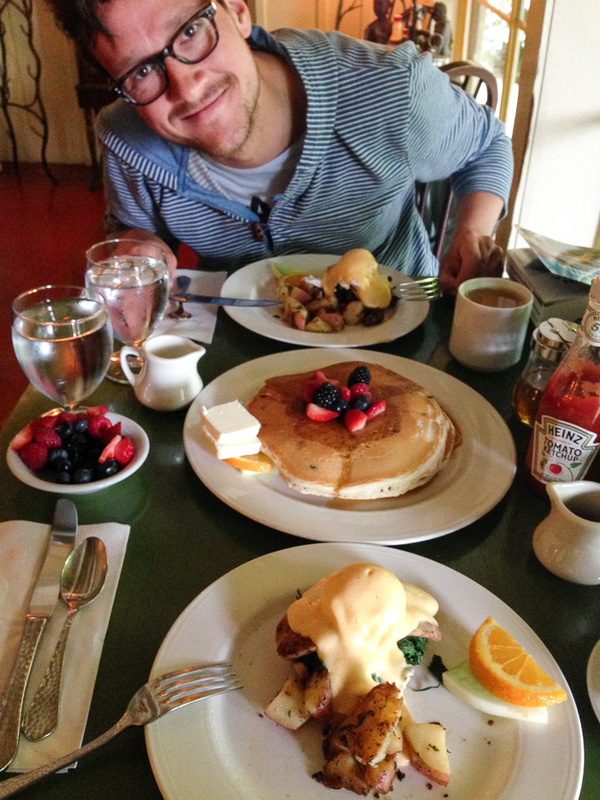 For a foodie like me this was absolute breakfast heaven: the biggest, fluffiest blueberry pancakes, perfect eggs benedict, and organic fennel sausages. YUM! 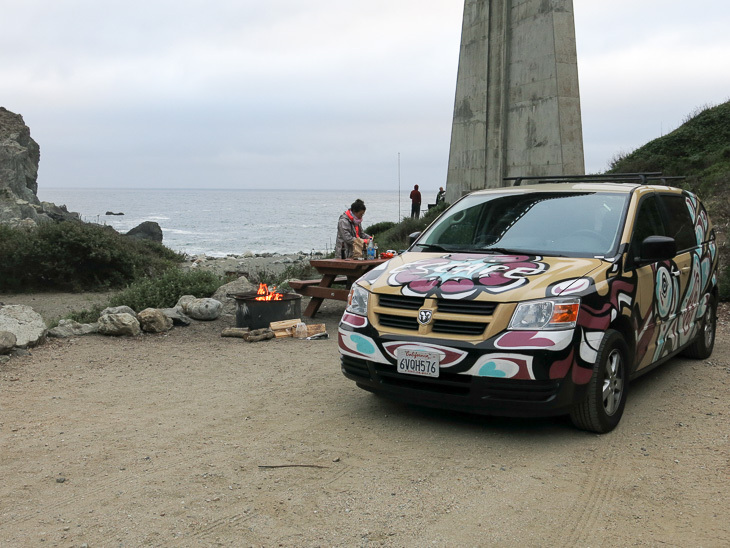 We parked Inuit at the best camping spot EVER at Limekiln State Park. We got there early and even though we weren’t supposed to check in till noon, the super friendly ranger told us there were already a few people gone so we were welcome to pick any of those empty spots. 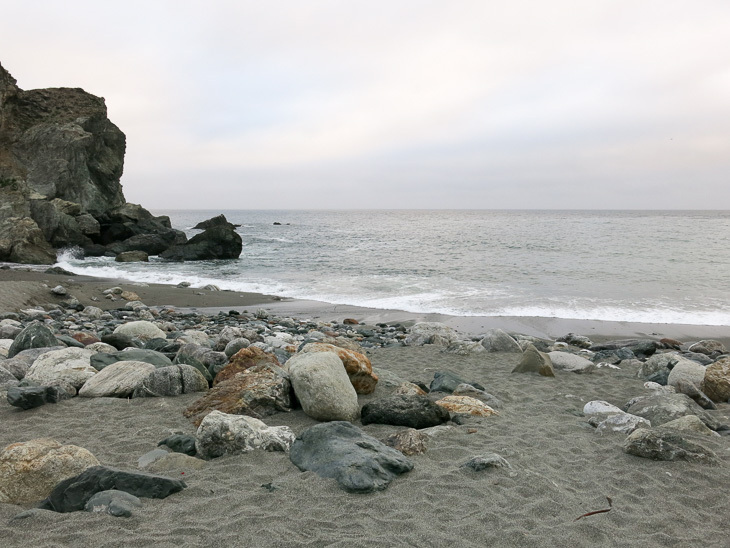 So we drove down to the beach and picked the very best spot right at the edge of the small beach, surrounded by steep cliffs. 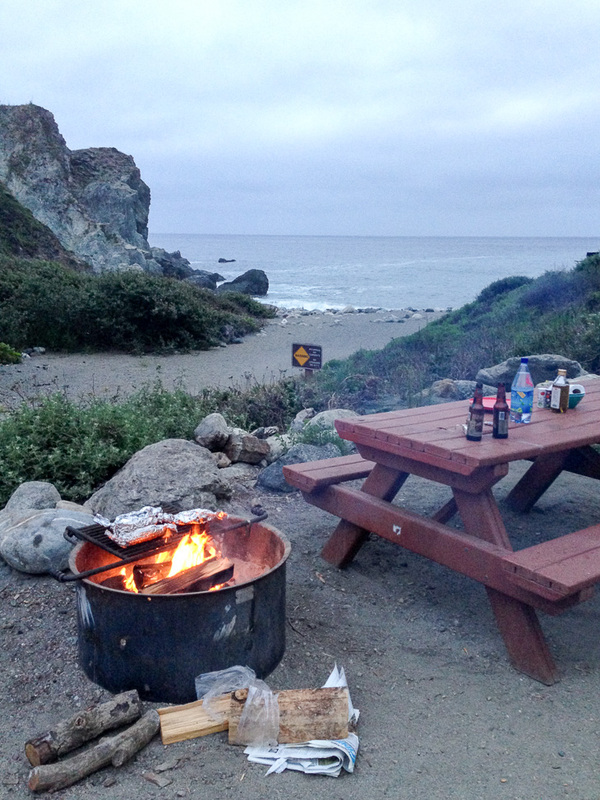 That evening we cooked a great meal on our fire pit, had some beers, and enjoyed the peace and quiet of Big Sur. 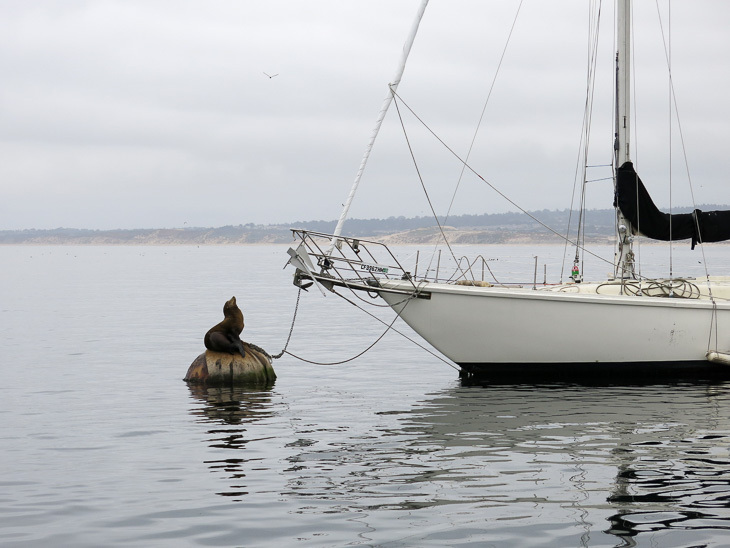 We even had a little sea lion wave us good night from the ocean. True story. So awesome! 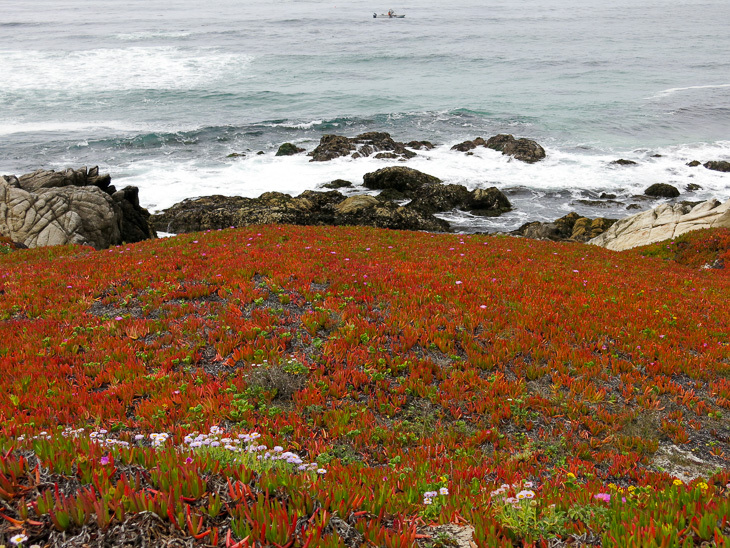 The next California highlight on the Pacific Coast Highway is the Carmel and Monterey area, 25 miles North of Big Sur. 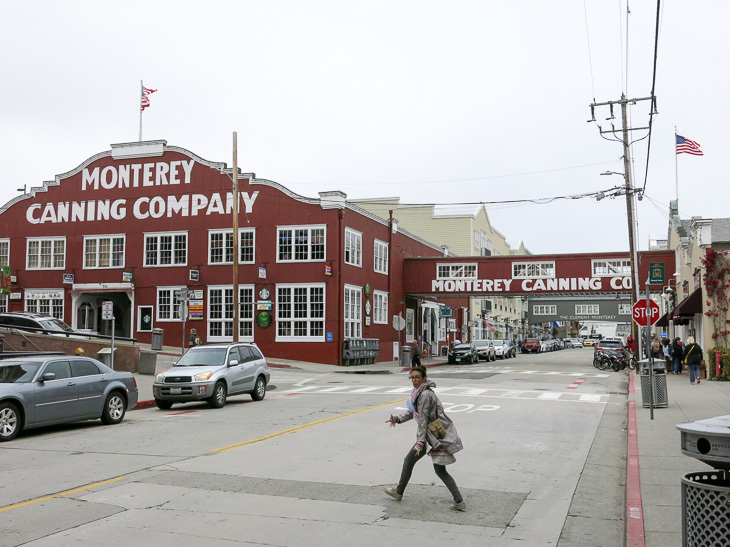 Carmel is known as an artistic town with lovely little boutiques and unusual laws. It is, for example, prohibited to wear high-heels since the city of Carmel tries to prevent lawsuits due to tripping accidents on the cute but uneven paved streets. 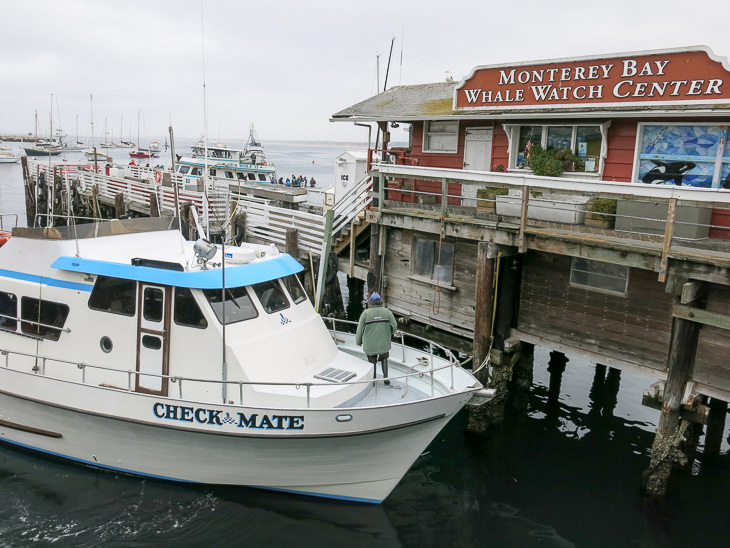 Monterey is a vibrant seaside town that is known for its famous Monterey Bay Aquarium and “John Steinbeck’s” Cannery Row. 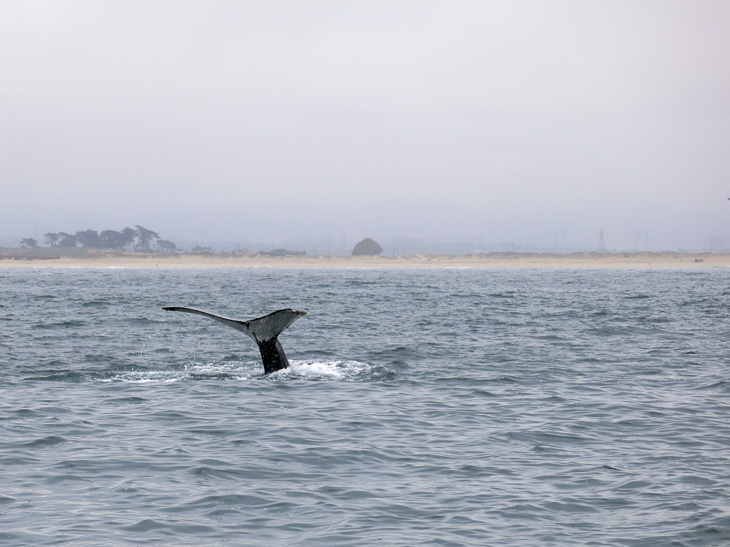 Monterey is álso very popular because of its close proximity to a large community of whales. 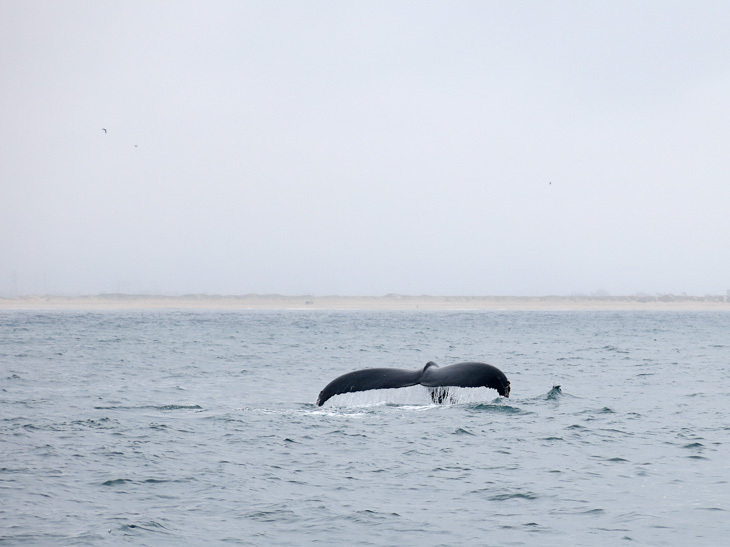 And I gladly got out of bed early to do my first ever whale watching trip. Even though it was pretty windy that led to a pretty rough sea and a pretty sea sick Larey, it was totally worth it! 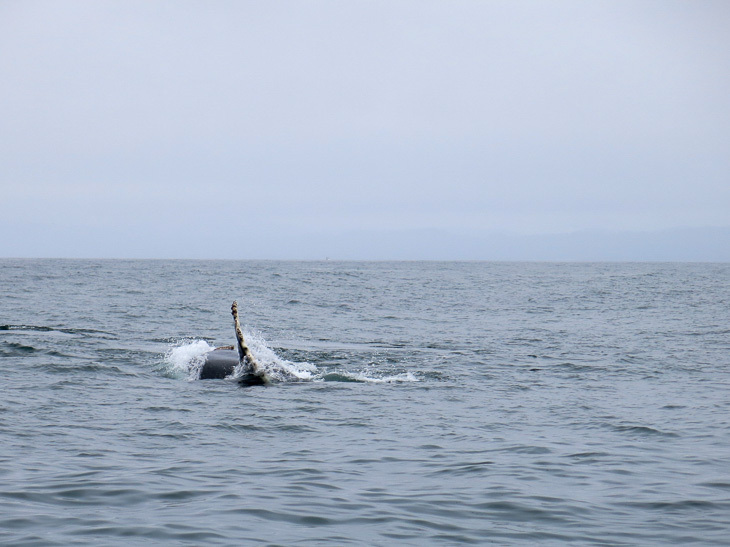 We saw so many whales, including a baby one (which is still huge!). 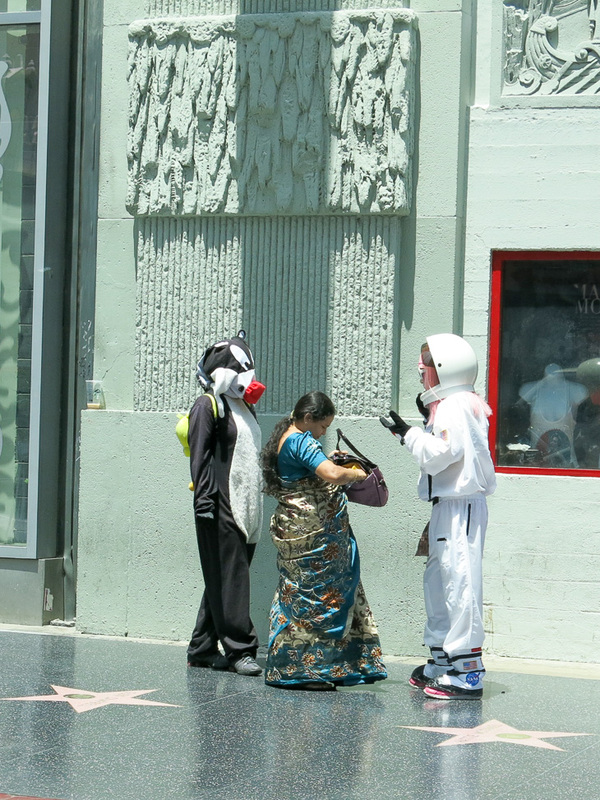 We tried to get them on camera, which is tricky, but here are our best shots. 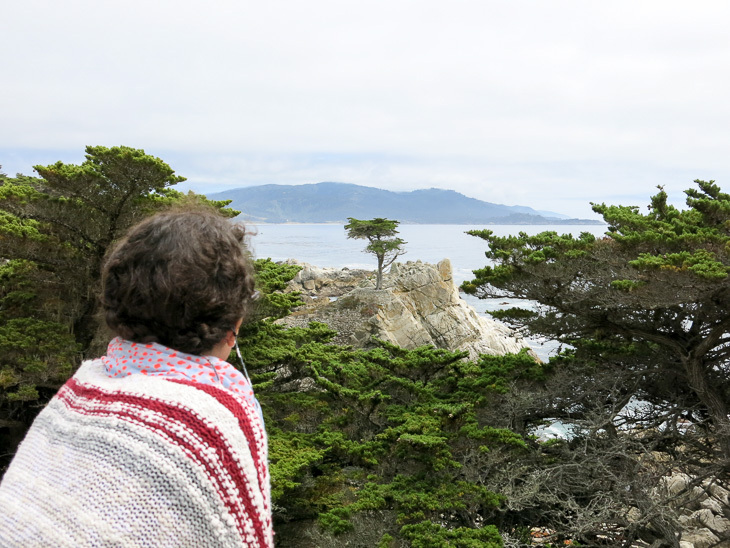 Between Carmel and Monterey you can find another must-do California attraction: the 17-mile drive. 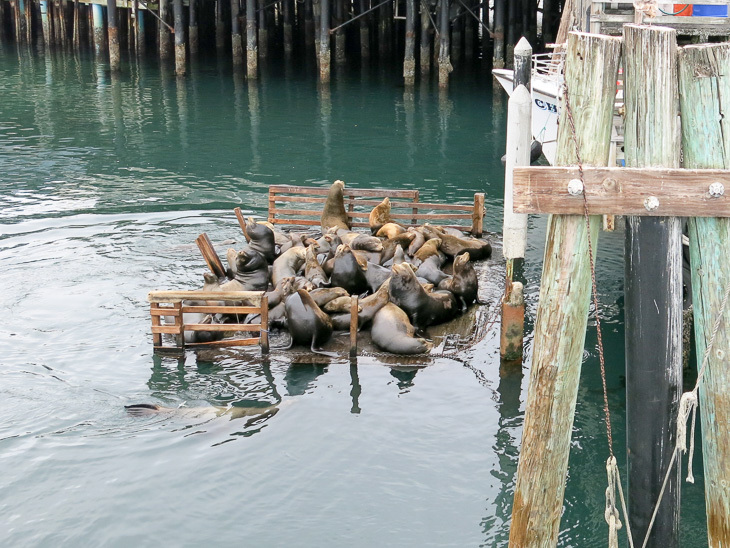 This scenic road runs along majestic mansions, rugged coastlines, the famous Pebble Beach Golf Course, the beautiful Lone Cypress, Bird (poo) Rock, and seal beach. 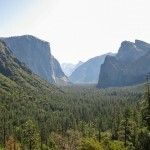 It will cost you $10 and for that you get a detailed map with info on all the sights. 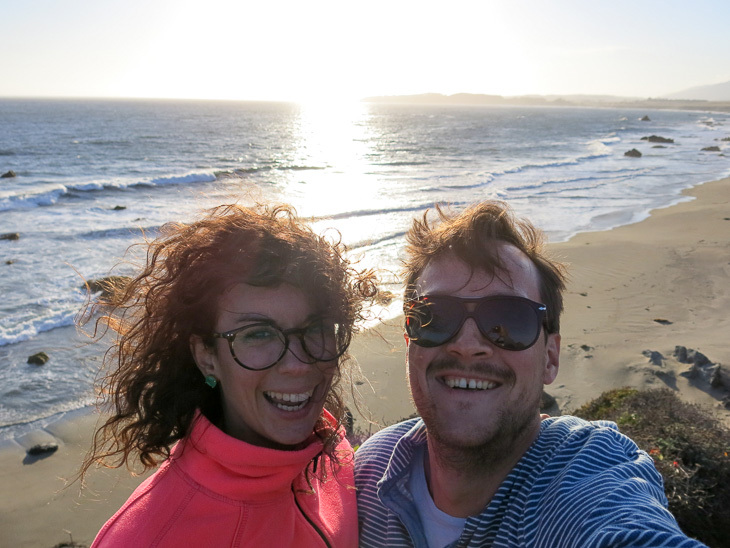 Our final stop on the Pacific Coast Highway, before we headed back to San Francisco, was surf mecca Santa Cruz. 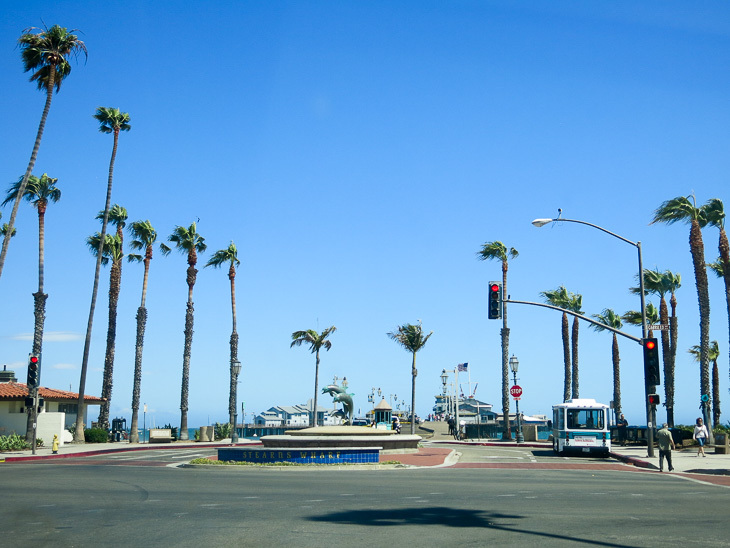 It is the home of surf brand O’Neill, top tier university UC SC (University of California Santa Cruz), the Santa Cruz Beach Boardwalk, and an alternative and liberal community. We camped at New Brighton Beach State Park, right at the beach with spacious and shaded sites. 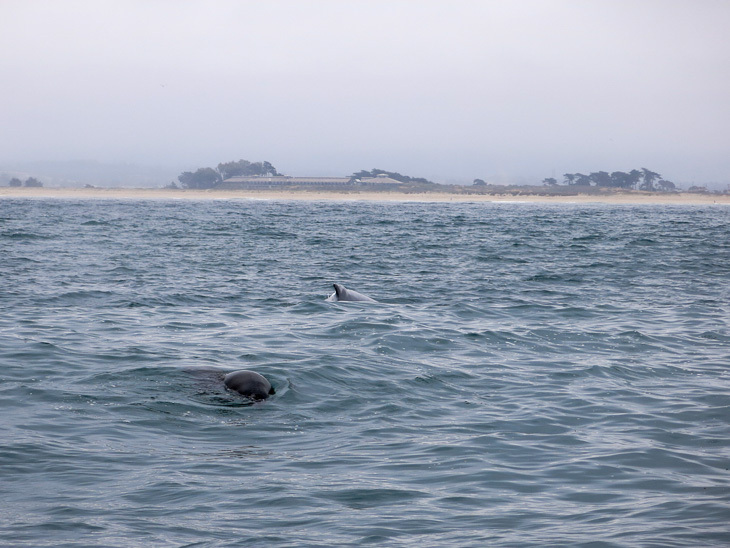 Side note: we had a couple of dolphins welcoming us from the Pacific Ocean. True story. Again, so awesome! From Santa Cruz it is 70 miles up North before you reach San Francisco. 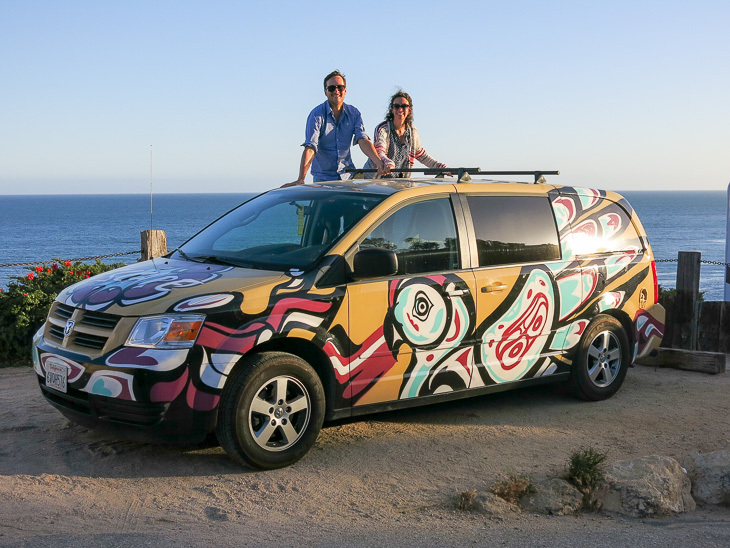 A bit of a sad moment for us because we had to say goodbye to Inuit, our beloved campervan – nay, home – for our California roadtrip. We had a final few days in San Francisco (see our highlights here) before we got on a red eye to New York, from where we flew back home to Amsterdam. Mission Californian Adventure: Accomplished. Next Post Next Stop: Picture Perfect Paradise! Just stumbled upon your review. Sounds like you guys had an amazing time. Hi Andrew! We’re still finalising our dates, but we’re coming back to the USA this July, and we’re ready to rock and roll with another one of your vans :). I’ll drop you guys an email when we have booked our flights. Looking forward to it!